If you aren't prepared to defend a maritime or admiralty law in court then please call us. You should speak to an experienced attorney to go over your rights and the merits of a maritime claim against you. 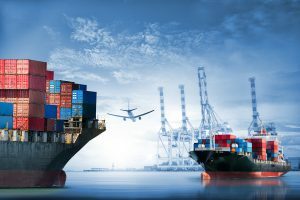 You may feel as if any lawyer can represent you, but if you are a company with offshore workers, you and your business are bound to a particular set of laws called maritime law or admiralty law. Admiralty lawyers, also thought of as maritime attorneys, can answer any particular questions that you have regarding the defense of a maritime case. An incident can have a potentially disruptive effect on maritime commerce. The case is time-sensitive and might not be limited to facts, but may include potential facts. Accidents that occur at sea can be tricky circumstances to navigate for not those not experienced in maritime law. Our lawyers consistently defend issues including water bound accidents and also personal injury (inland aquatic vessels, oceangoing vessels, traveler vessels, offshore equipment, as well as various other maritime ships). We protect insurance claims, freighters, employees' settlement, maritime business conflicts as well as marine insurance policy defense. At Childress Ahlheim Cary LLC our attorney's specialize in defense of maritime and admiralty laws. Our Firm offers marine insurance counseling, marine insurance coverage evaluation, contract drafting and negotiation, and marine and admiralty legal advice.